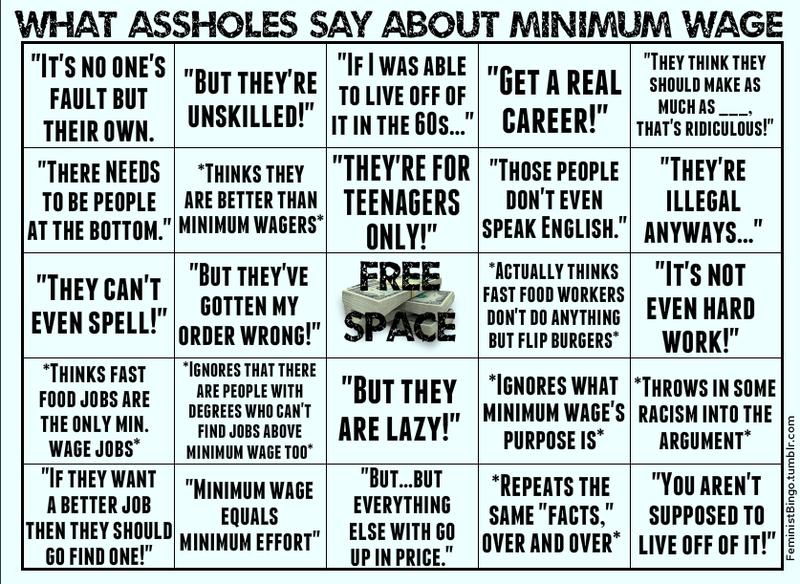 If I go right now to Facebook and post an article about raising the minimum wage that points out why it’s impossible to live on current minimum wage, I could fill this Bingo card. The only thing missing is the talk of bootstraps. Previous Previous post: Keep your dreams. Next Next post: You ARE trying. Yeah, because movies that show mailroom to CEO fairy tales are happening every day if you only look for them. Suuuuuuuure they are.